Are you tired of rewashing the dishes even after they were “cleaned” by the dishwasher? Are you tired of wearing clothes that smell like mildew as a result of a failing dryer? Do you want a working refrigerator once again? If you’re tired of dealing with the annoyance of broken appliances, contact Same Day Appliance Repair and ask about our appliance repair in Chantilly, and Ashburn. 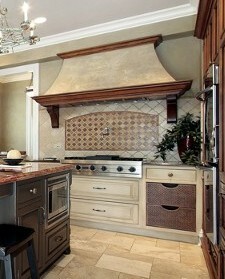 We provide comprehensive appliance repair on a wide variety of different residential appliances. Our repair technicians easily diagnose and repair the following residential appliances: air conditioners, refrigerators, freezers, washers, dryers, dish washers, ovens, ranges, and range hoods. So if you own any of the listed appliances, feel free to contact us to schedule your next appliance repair in Chantilly, VA. Local senior citizens and active and retired military personnel all qualify for special rates and discounts! Contact us to learn how we can save you money. Appliances are expensive! The world’s most expensive residential refrigerator costs around $11,000, and the world’s most expensive kitchen range starts around $100,000. With that in mind, it’s safe to assume that most people would never pay that much money for an appliance. However, no matter what you paid for your appliances we understand that people still need their appliances to operate correctly and efficiently. So if you need assistance with installation or annual appliance maintenance, contact Same Day Appliance Repair and ask about our appliance services in Chantilly. Our highly qualified and skilled service technicians thoroughly inspect your appliance and make sure that it will continue to run correctly for the foreseeable future. Our repair technicians will do everything from topping off fluid levels to ensuring that all of the mechanical parts are operating correctly—and it is hard to beat our speed or our prices, which are among the most competitive in the area. Our appliance services in Ashburn and Chantilly can also be used by customers who need assistance with appliance installation. Remember, one of the most important aspects of proper appliance operation is correct installation. If an appliance is incorrectly hooked up, that can cause electrical problems for your home, increase your energy bill, and even shorten the life of the appliance. Don’t risk early replacement and higher energy bills! Contact us to have a certified appliance technician handle your appliance’s installation. 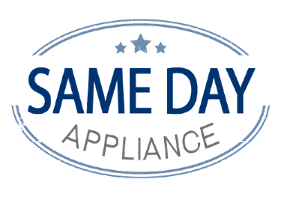 Contact Same Day Appliance Repair for all of your appliance service and repair needs! We provide all of our Ashburn & Chantilly customers with high quality appliance services and appliance repairs.